I need a Fabrication Partner. Collaborator. Solution Provider. When seeking a fabricator for a project, you might not be thinking along these lines, at first. You’re simply looking for a vendor to get a job done. But many times, things don’t go as planned. So having not just a vendor – but also a valued business partner – at your side can make all the difference in your project’s outcome. GSM Industrial’s customer relationship with Pelletron Corporation is a prime example of a long-standing business partnership that thrives on collaboration and idea sharing to create smarter solutions for their customers. 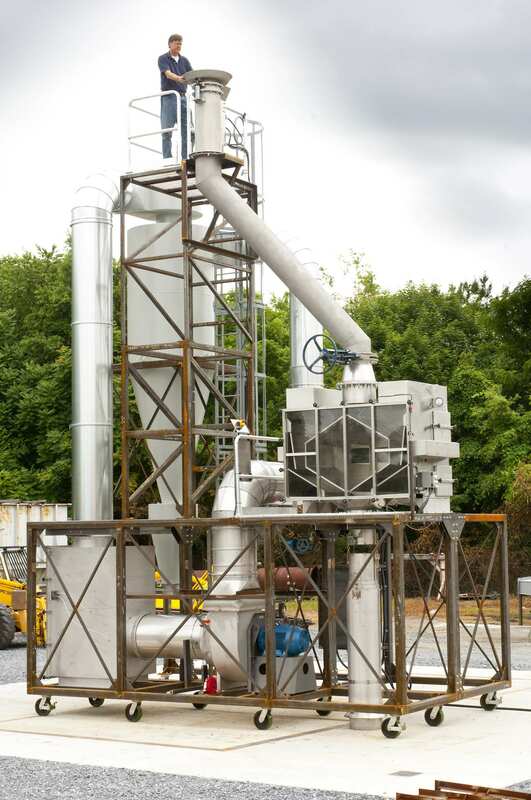 Pelletron, headquartered in Lancaster, PA, is a supplier and exporter of dust removal systems for the plastics industry. The company also serves other industries with a wide range of specialized products. Pelletron’s patented DeDuster® systems are used for many applications, including the cleaning of plastic pellets to remove dust and impurities that can result in defective plastic products. Pelletron’s customer base spans the globe, so many jobs must comply with international standards. 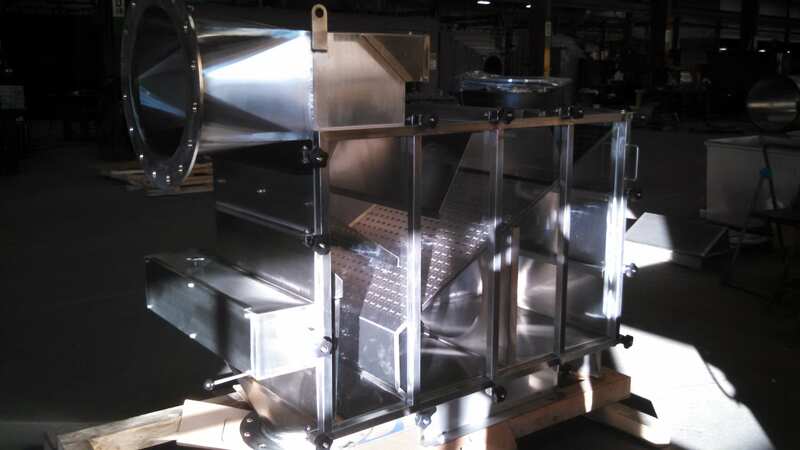 Two recent Pelletron projects featuring DeDuster® systems had international components, and GSM Industrial was called on to provide expertise and guidance in getting the systems engineered, fabricated and shipped. Tasnee Mobile DeDuster® System: Fabrication, unit pre-assembly, and testing done onsite at GSM Industrial. After testing, the unit was disassembled and shipped to a plastic manufacturer in Saudi Arabia. 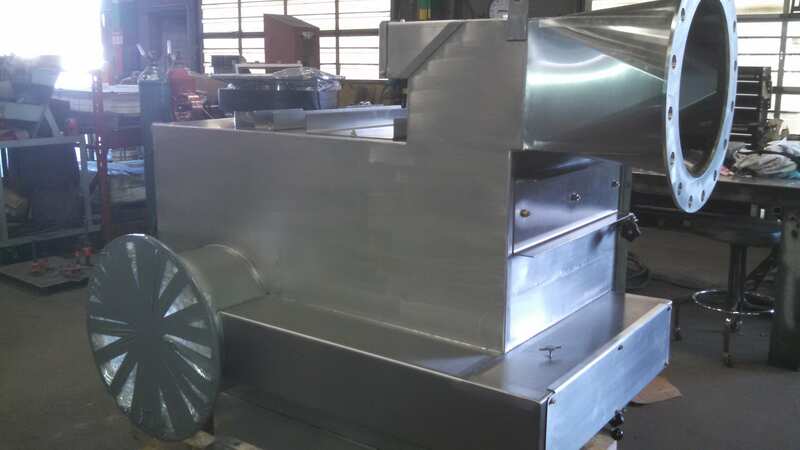 In addition to fabrication, GSM delivered more value by assembling the entire unit at its own facility and providing recommendations that improved the assembly process and the finished product. The GSM team assembled the entire unit on a concrete pad at its facility and performed testing. The final step – ship the unit to Saudi Arabia for final assembly. To prep the unit for shipping, GSM disassembled the entire system and packed all components into ocean containers for international shipping. Although fabrication requirements are typically similar for U.S. and international projects, the shipping component is different and complex. Skid preparation is key, with stamp-treated wood being an international shipping requirement. GSM has experience working with customers like Pelletron to meet the required international standards. Samsung DeDuster®: Fabricated by GSM Industrial and shipped to South Korea for use by Samsung in the manufacturing of cell phone casings and other device protection covers. Pelletron’s DeDuster® product is the heart of its business. So it makes sense to look to a partner who will bring valuable ideas to the table when it comes to fabricating this critical product. When Pelletron was asked by Samsung to develop a new DeDuster® design – the first of its kind – the company reached out to GSM Industrial for help. The DeDuster® was part of a complex system used to clean plastic pellets that will be used in the manufacture of cell phone casings and device protection covers. The Samsung DeDuster® had extremely high quality standards. It required stainless steel construction and a “showroom quality” look when it came to the cosmetics of the piece. GSM and Pelletron worked closely together from the early stages of development to ensure a successful outcome. After visiting Pelletron’s site and discussing equipment and design details, GSM provided input and options for improving the DeDuster® design. With extensive knowledge of material and sheet sizes, GSM was able to recommend a heavier material that would prevent warping and deliver longer product life. GSM also provided recommendations that kept project costs lower. After much collaboration and testing, the project was deemed a success and it shipped to Samsung’s facility in South Korea for installation. GSM supplied all of the stainless steel material and completed the fabrication, welding, assembly and polishing. More importantly, the partnership between GSM and Pelletron allowed for collaboration in the early design stages of the project, before fabrication even began. It’s another great example of the value that comes out of a strong business partnership.